If you go to your local library and look for the “chapter book” section, you will undoubtedly be directed to the children’s book section. But what you may not realize, is that the term “chapter book” can be defined in a couple of different ways. To a bookstore or library, a “chapter book” is any children’s book that is divided into several or many chapters. To a book publisher, however, a “chapter book” is actually distinct from something known as a “middle grade novel.” This distinction is important for parents and teachers. Chapter Books are written for emergent readers between the ages of 6 and 9 or 7 and 10 who are not quite ready for full-length children’s novels. These books typically run somewhere between 48 and 64 pages, according to children’s author Lindsay Eland, although some run even longer. Word counts tend to fall between 5,000 and 15,000, depending upon the targeted literacy level. Many are broken down into approximately ten chapters, and paragraphs are generally short. Chapter book authors are careful to use vocabulary that will be easy for young, developing readers to access. They also include some pictures, often one per chapter rather than one per page as an early reader or picture book would. Many chapter books have been developed as part of a series, such as The Magic Treehouse, Judy Moody, and A-Z Mysteries. 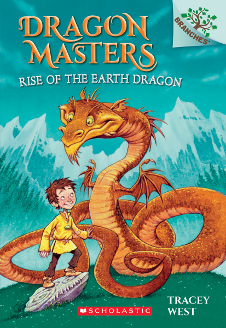 Some newer titles include The Chicken Squad, Shaun the Sheep, and Dragonmasters. The greatest challenge for parents and educators may be locating these titles in a library or bookstore, as they are often integrated into books for more advanced readers. One strategy is to simply look for books that are a bit thin. When you open the book, you can quickly see that there are fewer words and more white space, along with some illustrations. Middle Grade Books are often referred to as chapter books even though the publishing industry uses a separate term. These books typically target children ages 8-12 with an average word count falling somewhere between 25,000 and 60,000. (Fantasy books may run longer.) While authors keep their young readers in mind, the vocabulary and sentence structure is generally more complex and challenging. Paragraphs are longer, and most do not include pictures aside from the cover art. Middle grade books may also delve into deeper subject matter than a chapter book. Middle Grade novels encompass a variety of series and stand-alone titles, such as The Lightning Thief (Percy Jackson & the Olympians), Charlotte’s Web, Charlie & the Chocolate Factory, and The Lion, the Witch, & the Wardrobe. Some titles, such as Diary of a Wimpy Kid and Harry Potter seem to cross over between Middle Grade and Young Adult, appealing to children and teens. But generally there is a distinction between these categories as well, as Young Adult novels generally have teenage characters and delve into issues that might be sensitive for younger readers. If you know a young reader who has outgrown picture books and is ready for a more “grown-up” book, it is worth the effort to track down some good chapter books at your local library or bookstore. Just be aware that you may need to explain exactly what your young reader needs as this point in his or her reader’s journey.